To open the huge, leather-bound volumes, smelling faintly of mildew, that contain the glossy monochrome pages of Country Life magazine from 1907, the year the body that was to become the CLA was founded, is to glimpse a vanished world. I am in my forties, yet my father was an Edwardian, born in 1903. I shot with him once before he died, so the gents in tweeds demonstrating how to shoot birds on the left without moving the feet (or taking the pipe out of the mouth) do not seem so very far distant. Country Life offers an editorial about “The cost of owning an estate”, a fascinating insight into the rural economy of the time. The owner of the estate used as an example gave employment to 74 men, excluding tenants. The total was made up as follows: house and stables, 26; garden, 20; keepers, 3; labourers, 22. Such an estate might have been worth £250,000 to £500,000 at 1907 prices, its outgoings added up to £14,370 compared with a total income of £14,900. Then, as now, the ownership of land was not likely to attract capitalists who were not born into it as a way of life – unless for social reasons, or for sport. The three decades leading up to the foundation of what became known as the Central Land Association (to distinguish it from county associations) were a hard, often profitless time for agriculture, caused by the global marketplace of the British Empire. Home-produced wheat hit its lowest price for 150 years in 1894. For the countryside the years before the First World War were a time of political and financial uncertainty. A number of rural interests felt the need to band together to make sure their views were represented, or saw the opportunity to exert more influence. In 1907 came a pamphlet, The Land and the Social Problem, by Algernon Tumor, a high-ranking civil servant and former private secretary to Benjamin Disraeli. In it, he criticised British agriculture for failing to adapt to changing conditions and blamed politicians for their lack of foresight in their treatment of the industry. He advocated the co-operation of owners, tenants and workers in the common interest. His manifesto represented the conception of the CLA. Copies of the pamphlet were circulated to general approval and a meeting was held on April 19th, 1907, in the junior Carlton Club. Those present were well-connected and had between them a wealth of political experience. It was chaired by Walter Long, a patrician Tory and former President of the Board of Agriculture under Lord Salisbury. The minutes, in his handwriting, still exist in an exercise book in Reading’s Museum of English Rural Life. Present beside Tumor were the fourth Earl of Onslow, the Earl of Harrowby and several MPs and landowners including Christopher Tumor, nephew of Algernon, a large Lincolnshire landowner and author of several books on agriculture. The meeting decided to appoint officers of what was initially proposed to be called the Landholders’ Central Association. From the beginning the association tended to be an organisation of owners and land agents – other interests having their own organisations. The National Farmers’ Union – developed from the Lincolnshire Farmers Union – was founded within a year of the CLA in 1908. On the face of it, the survival of such an organisation after a century would appear to be surprising, given that the world that gave birth to is has vanished utterly. I suspect the clue to the CLA’s survival goes back to that original meeting and the thinking of its founders, who decided that they would engage with the interests of the day in a liberal, forward-thinking way, and not as a club of reactionaries. Lord Onslow, its first chairman, said of the Landowners’ Central Association: “It will endeavour to get rid of a rather stick-in-the-mud attitude on the part of some landowners…if we agree upon a constructive and progressive policy we shall have nothing to fear in the future.” Those still sound like wise words as the CLA enters its second century. Looking back on a century of landowners trying to influence the political ideas of the day, it is remarkable how many policies – such as a tax on land – are cyclical, returning in various guises, often without success. Yet it is also worth celebrating the ultimate demise of a really bad idea from the years of the great ideological divide, land nationalisation. As we now know, this idea caused poverty and squalor wherever it was tried, in the Soviet Union, Eastern Europe and even Kenneth Kaunda’s Zambia as late as 1970. It exercised the founders of the CLA for more than 30 years. We owe it to their good sense that it was not tried here. The frontal attack on private property was seldom as fierce as after the Liberal landslide of 1906. The followers of the Liberal Chancellor, Lloyd George, openly favoured land nationalisation, following penal taxation. The first was seen off, but not the latter. The CLA’s founders, including the Earl of Onslow, its chairman, and its president, Walter Long, wisely did not engage in partisan attacks. They successfully argued for Lloyd George to deduct maintenance when assessing estate income. Meanwhile two committees appointed by the Liberal Government reported in 1912 and 1913 in favour of state ownership of land, as a panacea for depression in agriculture and supposed insecurity of tenure. To add insult to injury, CLA members felt its leaders had failed to state their case forcibly enough at a crucial time and membership fell. The First World War killed off Lloyd George’s land taxation plans. It briefly strengthened the fortunes of agriculture and convinced the CLA that it needed to be more organised in representing landowners, rather than tenants and farm workers. 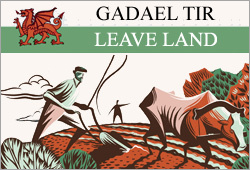 Nevertheless, the renamed Central Landowners’ Association was confronted by Lloyd George’s National Government in 1920 with the decision to withdraw support for agriculture. There followed a decade and a half of agricultural recession. The CLA had its victories, the greatest of which, the de-rating of agricultural land and buildings, came about in the 1928 budget. Its membership was bolstered by thousands of new owner occupiers – one of the many reasons why by the mid 1930s land nationalisation had faded into the background. But over the interwar years, and worse still in the years following the Second World War when many country houses were demolished, the break up estates through taxation and death duties had wide repercussions. Employment in agriculture tumbled. Crafts died out. Estates became dependent on mass-produced materials from outside. Instead of nationalisation, we got a halfway house for bankrupt estates, the National Trust. Was this really desirable? Over a century, you could argue that landowners have escaped the worst. The urban masses no longer want to appropriate their land. In part this is due to the pragmatic lobbying skills of the CLA, which have been respected by politicians of both sides. But the landowner has found himself bound increasingly, like Gulliver, by a multiplicity of gossamer threads which affect his freedom to use the land and even his leisure. Trespassers may legally be shot under a number of circumstances in the United States and South Africa. In Britain the rights of landowners have always been more tenuous. Over here, landowners have to think hard before uttering the words: “Get off my land!” if they dare do it at all. You might wonder why public access to the countryside has been such a bone of contention over the last century, and so time-consuming for the CLA. The proximity of the industrial towns, with their burgeoning populations, to the high moors and fells was the flashpoint for change. Access to the hills became the focus of ideological protest after the First World War, culminating in the great mass trespass in 1932 on the Duke of Devonshire’s land at Kinder Scout, part of the Dark Peak, in which five ramblers were sent to jail for up to six months after an affray with gamekeepers. The Hobhouse committee set up by the post-war Attlee government recommended in 1947 not only the creation of national parks, but also public access to the open countryside. This led to the National Parks and Access to the Countryside Act of 1949, in which open country was defined as mountain, moor, heath, down, cliff and foreshore. The amazing thing is that a government otherwise hell-bent on nationalising promised to pay landowners compensation for giving up their right to exclude people from land not on a right of way. The leaders of the CLA were probably too pressed dealing with the thicket of legislation produced by that Labour Government, which included the 1947 Town and Country Planning Act and the 1947 Agriculture Act, to do more than utter a quick sigh of relief. They did take the lead in urging the Government to write and publicise a Country Code, urging people to kept to footpaths, close gates, keep their dogs under control and put out picnic fires. 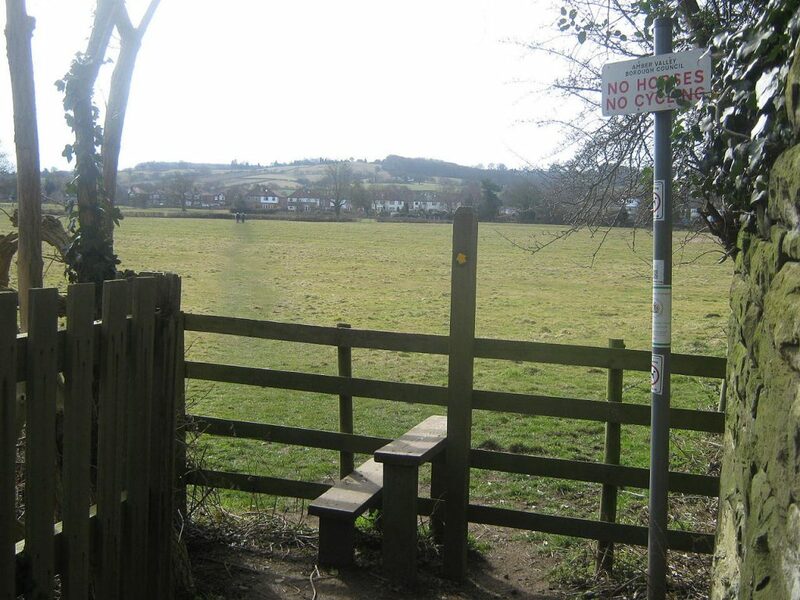 The Country Code had to be revised when the Countryside and Rights of Way Act 2000 received royal assent. In one of his more brilliant coups-de-theatre Tony Blair appointed Ewen Cameron, now Lord Cameron, a former president of the CLA, to head the Countryside Agency charged with bringing in the new right. It is probably the case that the right came in more sensitively as a result – though the biggest rollbacks came from individual landowners on appeal. 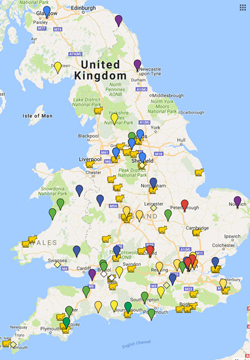 It is a measure of the influence of the CLA that what it has called on governments for the past 25 years to do – replacing subsidies for food production with support for farming aimed at benefiting the wider rural environment and economy – has now come to be the “direction of travel” for the three main parties. The story of the greening of farm policy is one of the little-known achievements of Britain’s landowning organisation, and it is a story worth telling, not only because it is, perhaps, unexpected, but because it is so seldom told. One reason is the CLA’s sensitive relationship with the National Farmers’ Union, set up in 1908. The distinction between the two organisations was relatively obvious at the beginning. The CLA, by and large, represented landlords. It began at a disadvantage, and has had to trust to the persuasiveness of its brightest thinkers instead of megaphone diplomacy. The NFU, at the beginning, represented farmers, then overwhelmingly tenants. In other words, the people who arguably worry most about protecting their assets, which also happen to be the country’s and the countryside’s, are those who would like to believe their offspring will be managing them in 50 years time. From the first, the CLA was far closer than the NFU to being an environmental organisation. For its first 50 years the CLA was largely preoccupied with ownership issues: land nationalisation, land tax, death duties, forestry, the de-rating of agricultural tenancies and the removal of tithes. Then, as now, landowners derived much of their income from outside farming. Indeed, there is some evidence to show that in all but a few boom years of the last century, non-farming activities have produced more income. The relationship to farming changed, however, in 1947, when landowners were given statutory recognition and new duties as partners in the drive for greater home food production under the Labour government’s Agriculture Act. The priority was growing cheap food for a starving and bankrupt Europe. There began the post-war extension of the dig-for-victory era, which lasted 30 years. These years saw great changes. Hedges were pulled out, wetlands drained, watercourses dredged and canalised and millions of acres of moorland and permanent pasture were “improved” by farmers with grants from the Ministry of Agriculture, sometimes to the rueful regret of landlords. The crucial change came in 1973 with UK entry into the Common Market. In Brussels, there was a growing sense that the EU budget was limited. Its finance ministers looked for an excuse to deal with excessive spending of agriculture and the resultant butter and grain mountains and wine, milk and olive oil lakes. Around the early 1980s the CLA became, by reason of its culture, the purveyor of solutions to a political class that had decided things could not go on as they were. A recurrent theme among progressive landowners and leaders of the CLA was the feeling that: “I think I’m damn good at what I do. If my neighbour farms very badly, but you continue subsidising him to farm in that way, you will eventually put me out of business.” Then as now, the CLA’s predisposition was towards the classical Anglo-American case for free enterprise and free trade. In the late 1980s the CLA published a paper which argued that public subsidy purely for production should be switched to a menu of environmental services. At the time I wondered how realistic they were, and whether anyone was listening. It turns out they were pushing at an open door in MAFF. Reform started in the second half of the 1980s with the Alure (Agriculture, Land Use and the Rural Environment/Economy) package, the abolition of production grants, the creation of environmentally sensitive areas, the Farm Woodland Scheme and the subtle introduction of the “duty clause” in the 1986 Agriculture Act, which meant the ministers had for the first time to have regard to the wider rural economy, the enjoyment of the countryside by the people, and the rural environment. The support of the CLA gave the ministers of the time confidence to push the measures through. When you look back to the late 1980s today, agricultural reform seems to have moved at a glacial pace. Environmental groups would argue that vastly more money needs to be moved from Pillar I, production support, to Pillar II, environment and rural development. But the developed world has accepted the argument that there should be free trade in agricultural goods and protection of the environment. And all who love the countryside can thank the CLA for its part in winning that argument. This is an edited version of a series of articles written by Charles Clover to mark the centenary of the CLA. Charles Clover is an environmental journalist, author, and columnist for The Sunday Times. A J P Taylor wrote that before 1914 a law-abiding Englishman had little contact with the state. He could travel without a passport, own a weapon and, on his own land, shoot almost anything he liked and build what he wished. This is the world into which the CLA was born in 1907. That the world has changed so much since is testament not only to the tightening grip of the state, but also to the growth of an increasingly wealthy middle class. The latter competed for the land previously under the control of aristocratic landowners, and had the time and resources to develop an interest in planning, animal welfare and nature conservation. A pre-1914 landowner might find Parliament telling him he must sell land. That came with the increasing role of the state in providing public infrastructure. But by and large it did not tell him how to build on land he owned. That came with the post-war Attlee government and the Town and Country Planning Act 1947, the birth of the modern planning system. The report of Lord Justice Scott’s committee, produced in 1942, had recommended that all new building should be in existing settlements unless there was some overwhelming reason why it should be in open countryside. Another of Scott’s recommendations was that fertile land should be retained in agricultural use. This, a novel idea at the time, was emphasised in the CLA’s evidence. In case the 20th century looks like a story of constant encroachment of private rights by the state, it is worth celebrating one high water mark, Crichel Down. Crichel Down, near Wimborne in Dorset, was 300 acres of land owned by Mary Anna Marten. The land had been compulsorily purchased in 1937 as a bombing range for the Air Ministry. When it was no longer needed after the war, it was not offered back to the family, as it should have been by policy agreed by the Government at the time at the instigation of the CLA, but was passed to the Commissioner of Crown Lands, who found a new tenant. Eventually, after local feeling had been whipped up, the press enlisted, and political connections utilised, Parliament came to realise that a major injustice had been perpetrated. The Conservative Minister of Agriculture, Sir Thomas Dugdale, was forced to order a public inquiry. The Martens got their land back. This entry was posted in 2000's, Scrapbook and tagged archive, CLA, Country Land and Business Association, history, shooting, trespass on August 14, 2017 by cow.